Allison Zimmerman is a graduate of the College of Charleston. She received her first 200 hour yoga teacher certification in 2003. This first certification inspired her to learn more about yoga and the philosophy of yoga. She was introduced to the Jivamukti Yoga method by Andrea Boyd and Jeffrey Cohen in 2004. She studied and completed an apprenticeship with them in Charleston in 2007. She offers many thanks to them for being such a positive inspiration and introducing her to so many beautiful beings. 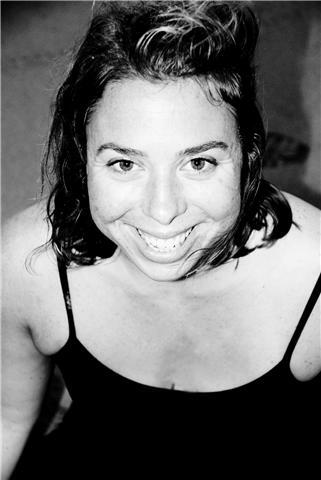 Allison participated in the Jivamukti Yoga Teacher 350+ hour Certification at the Omega Institute in New York in 2007. She has continued to study with Andrea Boyd, Jeffrey Cohen, David Life, Sharon Gannon, Manorama, Dharma Mittra, Doug Swenson and many others. Allison is a certified Jivamukti Yoga teacher. Go to jivamuktiyoga.com and click on the focus of the month to read the teaching for this month. Allison’s interest and enthusiasm for the infinite philosophy of yoga is what fuels both her practice and teaching. Allison is a part of the Manduka Who’s on the Mat program. And go to Manduka.com to buy your Black Mat PRO yoga mat and any other yoga accessories you need!